As leading textile mills all over the world compete for higher efficiencies and more advanced automation in textile spinning, the quality of their paper cones and tubes remain as important as ever. Poorly-made yarn carriers can, at the worse, sabotage expensive equipment and at the least throw a major monkey-wrench in production up-time, but what does it take to manufacture a high-performance textile yarn carrier and what should you look for in your supplier? Are They Taking a Custom Approach? No two machines are alike and no two spinning plants are run the same so your textile tube supplier should visit your facility to understand the setup of your equipment and to gather the information and measurements needed to provide the perfect fit and design. Do They Achieve a Proper Fit? Your cones and tubes may fit well enough to get your production line going, but with a perfect fit, you will be able to achieve targeted efficiency and reduce expensive back-winding of poorly formed yarn packages. Do They Guarantee Consistent Dimensional Accuracy? This is a big one because textile cones and tubes that are inconsistent in length or diameter cause the equipment to reject the carrier resulting in lost production time. Producing cones and tubes with consistent dimensional accuracy requires your supplier to have a controlled process and equipment that allows them to consistently produce a yarn carrier that will meet an extremely tight tolerance. Many machines specify a tolerance of ±1mm in length and ±0.25mm in inside diameter for both the top and bottom of the cone or tube. Are Their Cones or Tubes Balanced? The textile yarn carrier must be round because even a slightly oval shape will cause the carrier to bounce or vibrate during yarn winding. Irregularities in the balance of the carrier become even more evident as the take up speed is increased. The result is a yarn package that is jerky during off-winding or that sloughs instead of allowing for a smooth transfer. Is the Surface of the Cone Flocked or Plush? A flocked textile carrier uses a man-made fiber that is glued to the surface of the cone to provide “grip” for the thread to be held during start up. The drawback to flocked textile cones are that the fibers become airborne during use and settle on equipment or worse, can be breathed into the lungs of the operators. In addition, they can also mingle with cotton yarns causing small, undyed spots in fabric made with the yarn. Look for a cone with a plush, natural surface that uses the fiber of the paper with which the textile carrier is made to achieve a soft, clean finished surface. Is the Surface of the Tube Specific to Its Application? 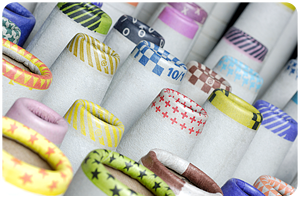 With a paper textile tube, the surface of the tube is designed for the particular yarn process used by the customer. Do They Suggest Other Design Features to Improve Your Efficiencies? Are you able to print your logo or brand information on the textile yarn carrier? Can you pick patterns and colors for your internal identification needs? Are there other features that they offer to improve how the yarn performs during start up, transfer or off-winding? How about options to improve handling by your operators or machinery? Does your supplier have a reputation for dependable service and delivery? Do they have a process for testing and quality control that they may be willing to share? You may want to ask them how they manage their orders and what their on-time delivery rate has been for the past few years. With the investment in top-of-the-line automated equipment, the paper cone or tube textile carrier is not a place to sacrifice quality. 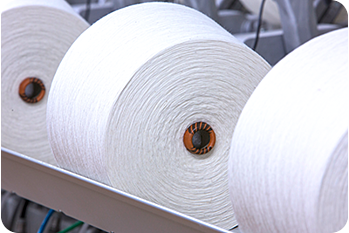 Make sure to use a high-performance textile carrier that is built to enhance the performance of your cutting-edge equipment and the overall efficiency of your textile mill. Download Conitex Sonoco's High-Performance Cones & Tubes Brochure. 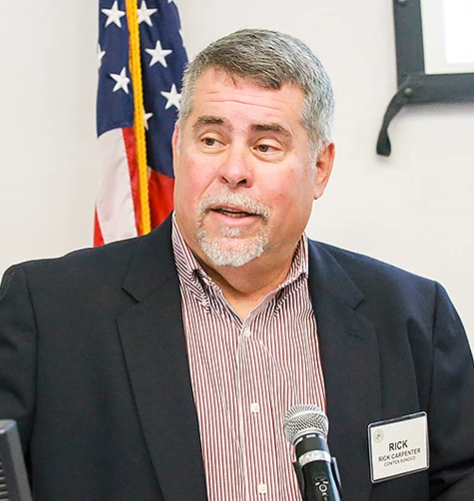 Rick Carpenter is Regional Sales Manager of Cones and Tubes for Conitex Sonoco USA's Converting Division. He is also the Chairman of the Southern Textile Association's Northern Division.